White Lake Oaks Golf Course is a scenic 18-hole par 70 Oakland County owned course located in White Lake. It was designed by the Van Tine Family at yardages that would allow golfers of all skill levels to enjoy their experience. The staff at White Lake Oaks takes pride in the course conditions and does their best to provide all customers with the best golf experience possible. Customer service is also the priority at White Lake Oaks and all Oakland County Parks. Providing that service makes the experience enjoyable for golfers and other visitors. The player-friendly layout has an open front nine and tight back nine featuring woodlands and wetlands. The open front nine allows the golfer to swing away while the tighter back nine challenges the golfer to keep it under control. The front nine is the original layout built in the 1920s as Twin Pines Golf Course. Oakland County purchased the course in 1970 and constructed the back nine. The back nine design is cut through woods and is a nice challenging compliment to the open front nine. White Lake Oaks is geared towards the higher handicap golfer as well as women, junior and seniors. The shorter length makes it an enjoyable experience and the layout still offers a challenge for all users. The favorite hole among regulars at White Lake Oaks is the Par 4/5 No. 13 hole. It is a challenging 400-yard dogleg right over a pond. It’s a rewarding experience for a golfer to do well on this hole. In addition to the great golf course, White Lake Oaks offers a full clubhouse that features a pro shop, club room and garden patio. New this year is the Oakland County operated Bunkers Bar and Grill. The Grill Room provides a wide variety of quality food and drinks. Also available is a banquet facility which is also available for rent for larger golf outings and other rentals and is currently catered by Katherine’s Catering until January then Lafayette Market will take over as the banquet caterer. 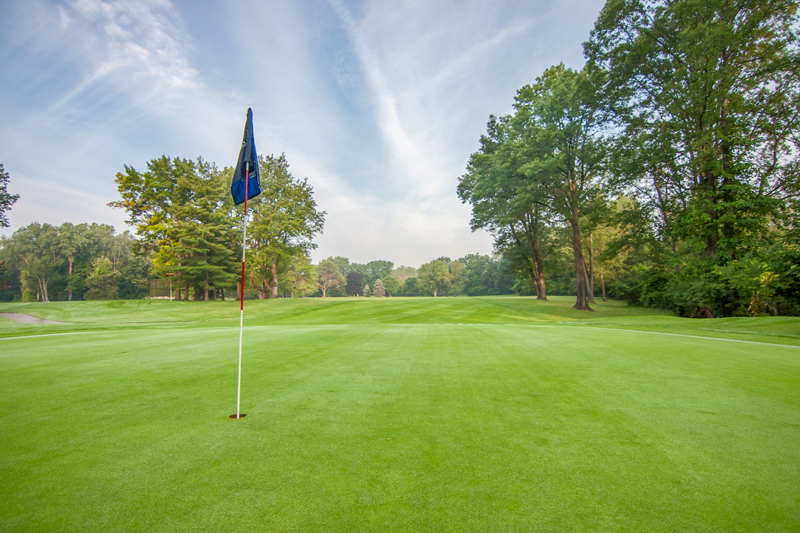 White Lake Oaks is certified by the Michigan Turfgrass Environmental Stewardship Program for exceeding requirements to protect natural resources. White Lake Oaks offers golfers the opportunity to book tee times up to 30 days in advance. To book your next tee time at White Lake Oaks Golf Course, call the Pro Shop at 248-698-2700.